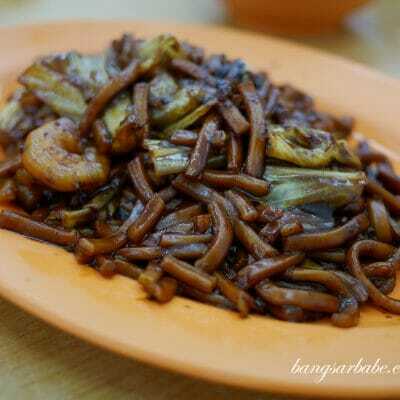 When one mentions Hokkien Mee, I usually double confirm if they mean Hokkien Char or the prawn noodles from Penang. 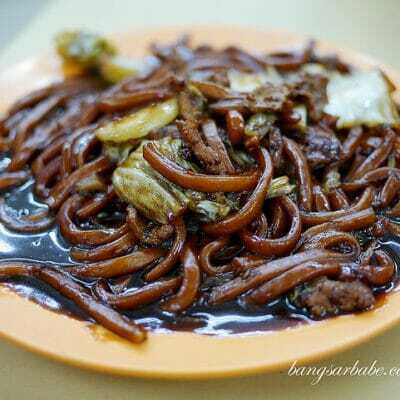 I’ve tried a good number of Hokkien Mee in Klang Valley over the years, but not the version from Aik Yuen in Setapak. 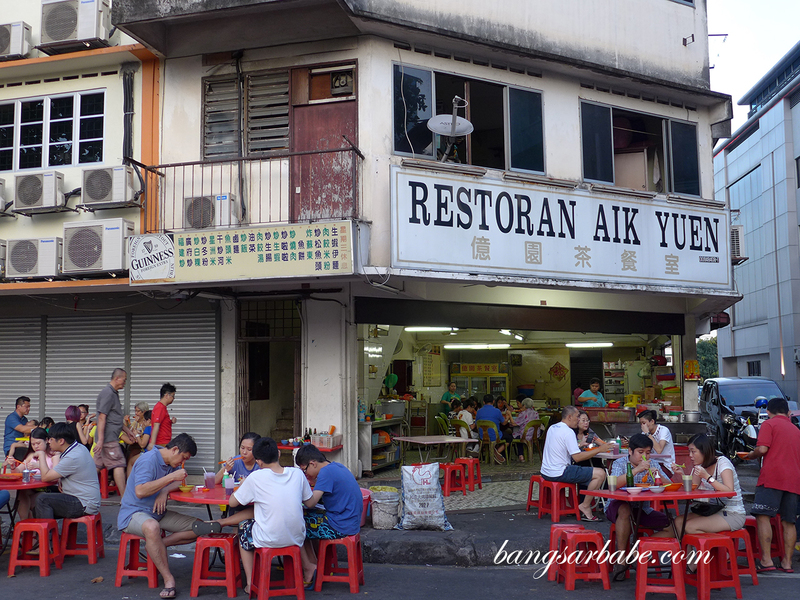 Die-hard fans insist that this place serves THE best Hokkien Mee in town. 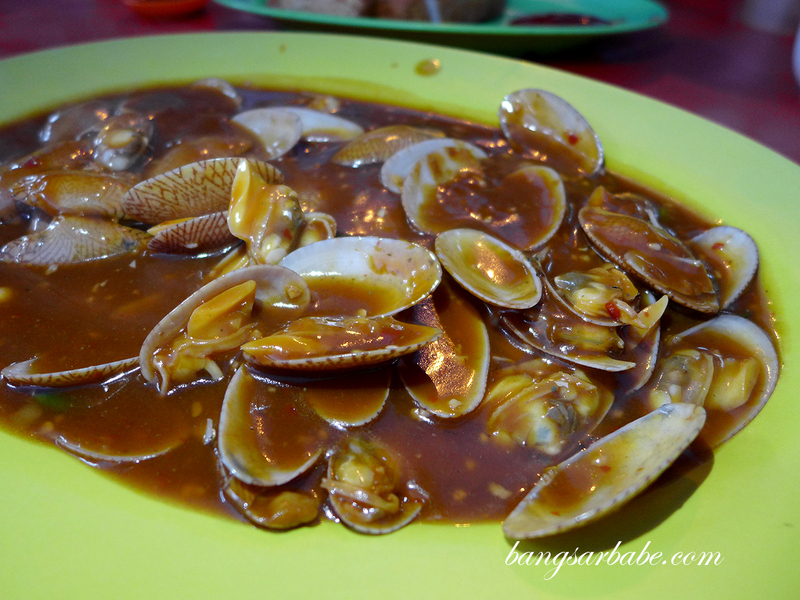 The restaurant is located along Jalan Sarikei, behind Tawakal Hospital. We got there rather early but even so, there was already a crowd. Ideally, one should aim to get there by 7pm to score an available table – otherwise, be prepared to wait a little. 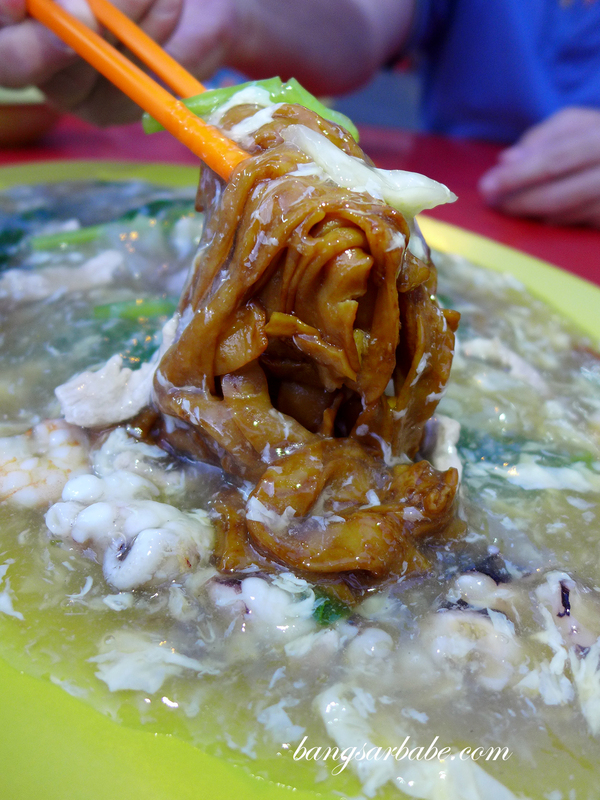 Our food didn’t take very long to arrive, especially the wat tan hor as the noodles were cooked beforehand and topped with egg-y gravy before serving. This was rather disappointing. The noodles lacked wok hei and the gravy was bland and runny. 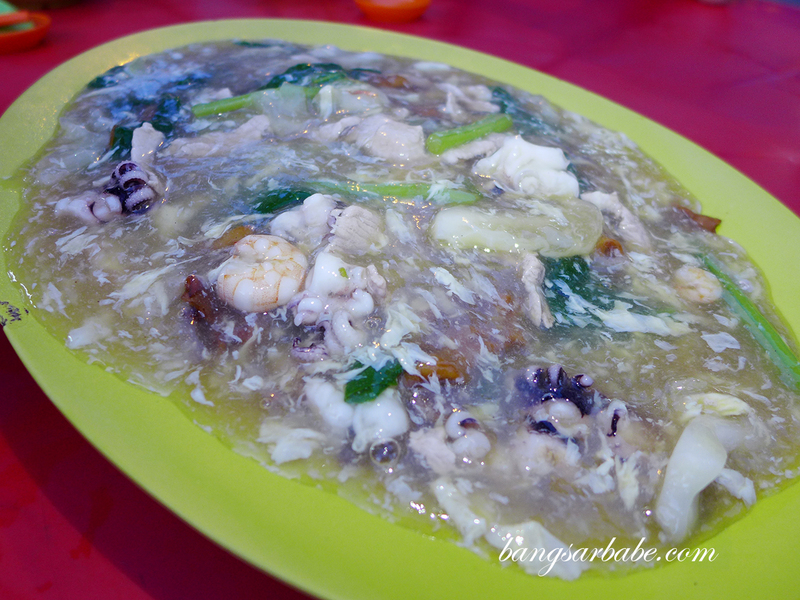 Almost every table ordered the deep fried fish cake, a specialty at Aik Yuen. This was quite good – crisp on the outside with a solid, bouncy centre. 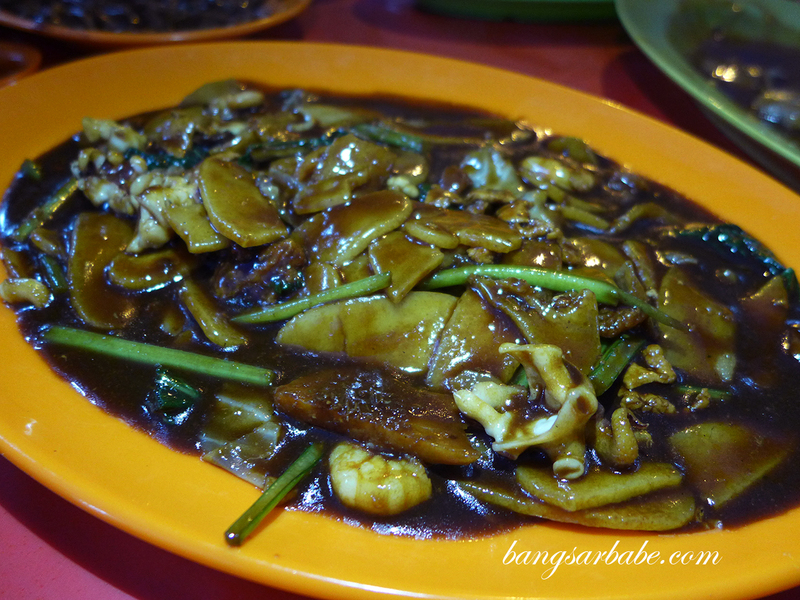 The stir-fried lala was also decent, tossed in garlic and cili padi in a sweet-sour base. I found the Hokkien Mee overrated and lacking wok hei. While the noodles had a good bite and they were generous with the pork lard, there was little flavour and char in the gravy. 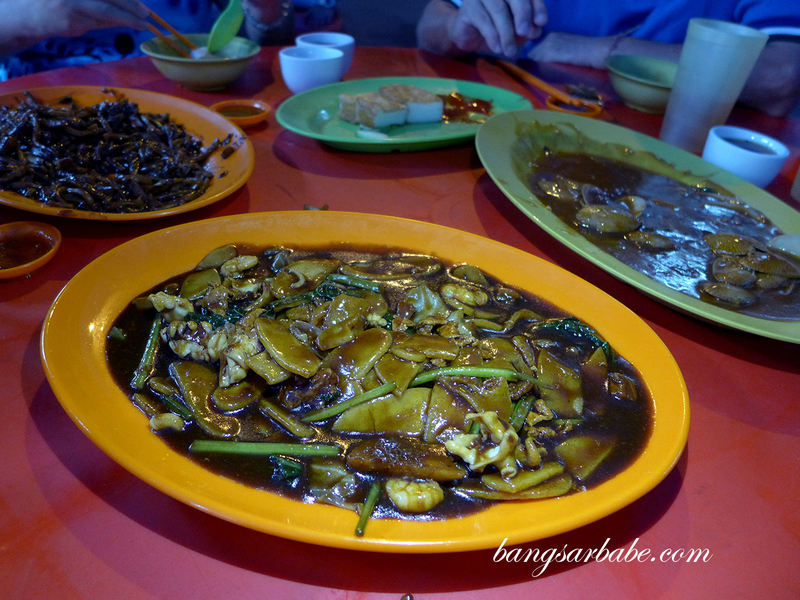 It wasn’t terrible per se, but I’ve had better Hokkien Mee elsewhere. 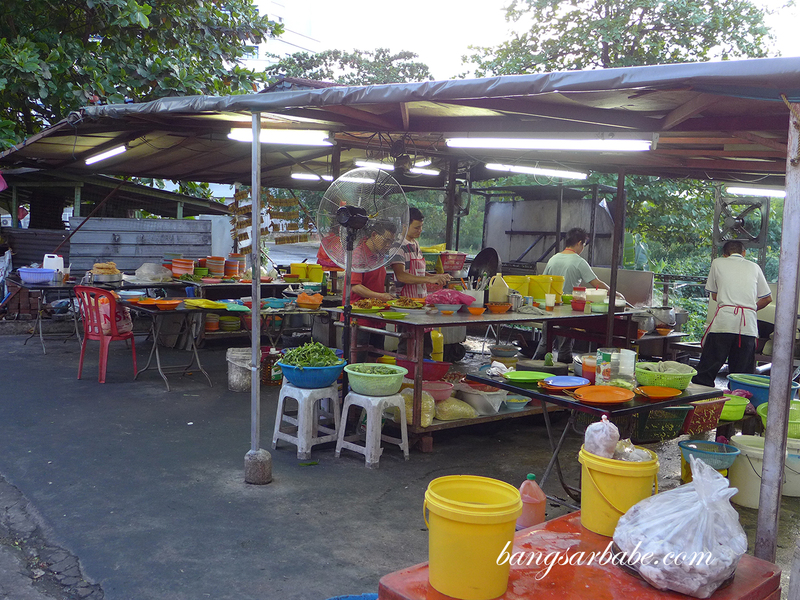 Better was the fried pek kueh (rice sticks), tossed with vegetables, pork slivers and prawns. The deep fried sotong, seasoned with curry powder batter, was nothing to shout about. I found this overcooked so the squid was dry and batter, too crunchy. Pity, for I did like the hints of curry powder flavour it had. Overall, I wasn’t impressed with the food. 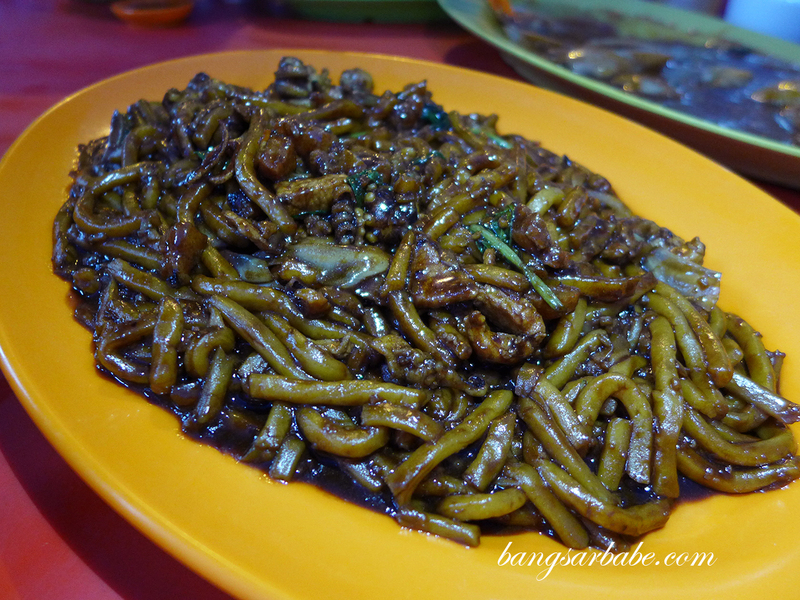 While the Hokkien Mee is decent, it certainly isn’t the best in town, in my opinion. Dinner came up to slightly less than RM100 for the dishes above. Not too shabby for five pax. Verdict: I find the Hokkien Mee just alright. 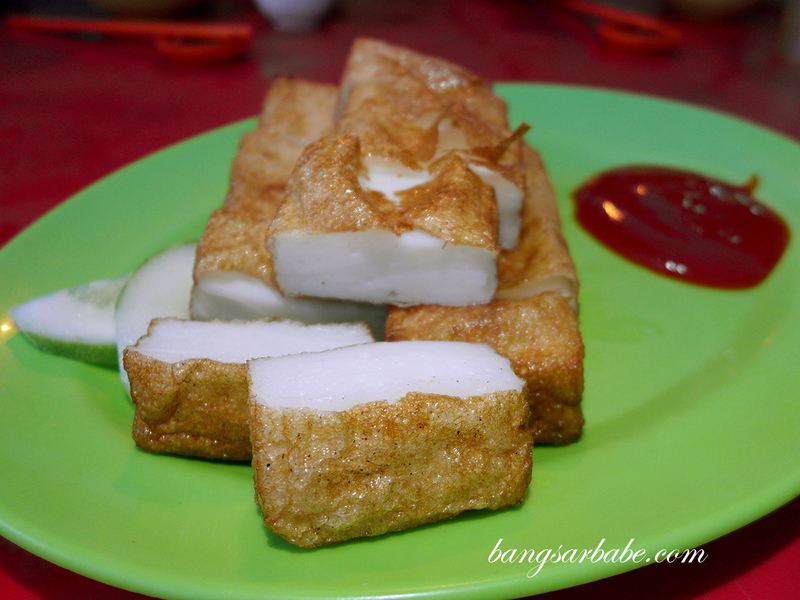 But the fried lala and fish cake is good.